When the skis are “basically abused” it's obvious. The complete ski base may be white and fuzzy looking, in addition to the possibility of having many deep scratches or gouges from skiing over sticks, stones, or the occasional cart path. Skis in this condition should just be taken directly to the shop for a “stone-grind”. As much as I like skiing, I have to admit that sunny weather at the end of February has me thinking of riding my bike. And as soon as start riding, my skate skis will not likely see the light of day until winter comes again. While just hanging the bike in the garage for the winter without tuning it is no big deal, carelessly storing skis for the summer can result in less than optimal performance the next season. In fact, when stored properly they may actually end up being faster than when you put them away. The correct way to store your skis is with an unscraped coat of wax on them to keep the bases from oxidizing, or drying out. There is, however, more to it than just ironing on a thick coat of wax. Let's look at the reason we wax skis in the first place. Basically, the ski base is like human skin. It is a porous material that will absorb things like dirt, oil and wax. The ski base reacts similarly to skin. When it is lubricated (by wax) it is smooth and shiny. When dry, it is whitish in color and in extreme cases, rough or fuzzy. Ski bases that are smooth and shiny are fast. Dry and fuzzy bases are slow. Skis that are meticulously cared for have bases that are a uniform color down the whole base and have a shiny appearance to them. These skis require the least amount of work to prepare for storage. The procedure begins with cleaning the skis. Rather than use wax remover, which dries out the skis, elite skiers and wax technicians perform a “hot wax scrape”. To do this, melt on a coat of soft, warm wax (like yellow), and then scrape off the wax before it cools down. The reason this works is that the heat of the iron opens the pores of the base and any contaminants come to the surface, and into the wax. Do this as many times as necessary, also brushing in between, until there is no dirt in the wax. Follow this with a coat of yellow or red wax and unscraped, place the skis in your ski bag to be stored in a safe place in the garage or basement. 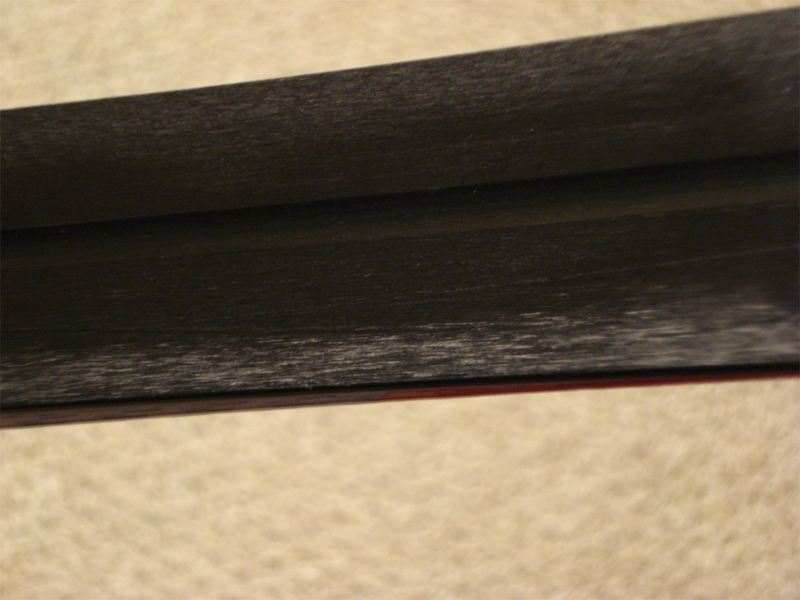 If you ski regularly but wax a little haphazardly, you may find the bases of your skis looking a little white on the edges or more (see photo). This is the beginning of the bases getting dried out which left unattended, can lead to badly oxidized skis after the summer. In most cases preparing the skis for storage as explained previously will be adequate. Something else to consider prior to storage would be a “hot box” treatment. This procedure involves applying a coat of ultra-penetrating wax and placing the skis in the “hot box”, which holds the skis at the precise temperature for maximum wax penetration of the ski base. Only nordic specialty service departments will have the equipment to perform this service. When the skis are “basically abused” it's obvious. The complete ski base may be white and fuzzy looking, in addition to the possibility of having many deep scratches or gouges from skiing over sticks, stones, or the occasional cart path. Skis in this condition should just be taken directly to the shop for a “stone-grind”. 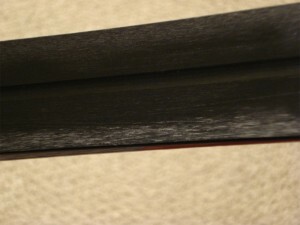 Just like alpine skis, nordic skis can be p-texed, base welded and stone-ground flat. In addition to having them stone-ground, have them hot boxed and storage waxed at the same time. All equipment needs periodic maintenance and the end of a season is a perfect time to do it. Properly storing your skis is more than just taking care of an investment. That thick coat of storage wax does more than just protect the ski base. As the skis sit with wax on them all summer, that wax is slowly being absorbed, lubricating the ski base. It's like getting free speed. When was the last time your bike got faster by sitting in the garage for months?